Request information about our Professional Development program. If your organization could use a more tailored approach, consider a customized solution. 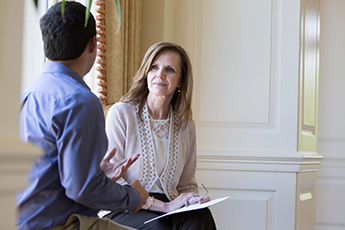 Our experienced team will work collaboratively with you to develop your leadership, transform your customer experience, and shape your organizational culture, leaning on years of business insights and lessons learned from Biltmore's history. Our experienced staff of instructional designers is trained to sculpt the programming to your needs across a wide variety of industries and personalities, and can deliver the training at a location of your choice. Our team will conduct a brief needs analysis addressing your desired outcomes, expectations, and personalities of your team. While you may already have a list of proposed attendees, our needs analysis can help further determine who might get the greatest benefit from a customized program. Each proposal includes a complete agenda, educational objectives, and process briefings, centered around your objectives and our proposed recommendations. 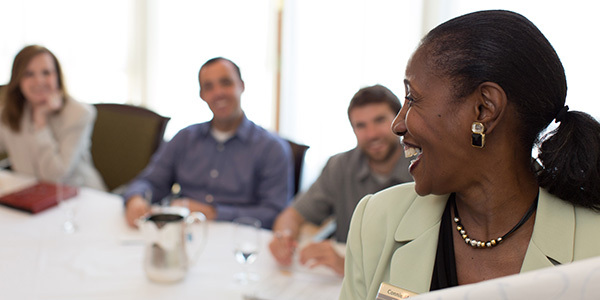 You and your team will enjoy an intense, interactive development opportunity focused on experiential activities that weaves in Biltmore best practices and core competencies. The program will conclude with a powerful action-planning session. Consider holding your custom program on Biltmore Estate in one of our beautiful venues and including team-building activities. View our group information guide. Stakeholders evaluate the program, ensuring alignment with intended objectives. Follow-up coaching for any program is available at an additional fee.